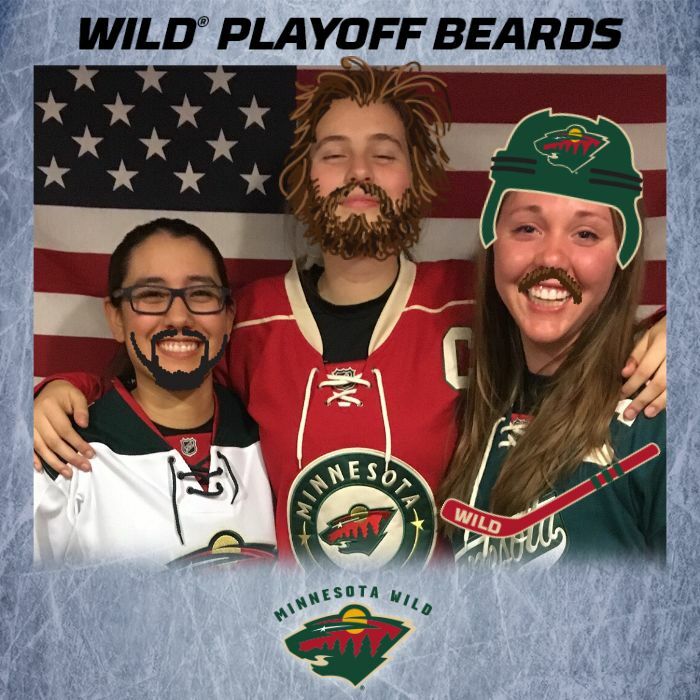 Minnesota Wild fans beard themselves for playoff hockey and share their good-luck in the form of a digital photo on social media. ST. PAUL, Minn. – April 13, 2017 – To celebrate the Minnesota Wild’s on-ice success and our continued partnership, Associated Bank is extending its unique online, branch and arena programming into the post-season. While the Wild are in the playoffs, fans on Associated Bank’s social media channels are invited to enter the Win Big With the Wild Sweepstakes for the chance to receive two tickets to a Wild playoff game. To further celebrate the team’s playoffs position, fans are invited to join in the storied tradition of hockey players growing good-luck facial hair during the post-season. Fans can visit AssociatedBank.com/wildbeards to upload a photo, give themselves one of several styles of beards — some fashioned after current Wild players — and share their playoff good-luck in the form of a digital photo on social media. The Minnesota Wild is a thriving National Hockey League (NHL) franchise that began play in 2000. Its parent company, Minnesota Sports & Entertainment (MSE), is a premier sports and entertainment provider with several different avenues of business operations headquartered in downtown Saint Paul, Minn. Its subsidiary, the Saint Paul Arena Company, manages the state-of-the art Xcel Energy Center, home ice of the Wild, and the Saint Paul RiverCentre, which includes the Legendary Roy Wilkins Auditorium. MSE also owns the Iowa Wild franchise in the American Hockey League (AHL), the primary development affiliate of the Minnesota Wild based in Des Moines, Iowa. Driven by a mission to “Create a Greater State of Hockey,” MSE and the Minnesota Wild Foundation also strongly support community causes, primarily in the area of pediatric giving. For more, visit wild.com or follow us on Twitter, Facebook and Instagram.